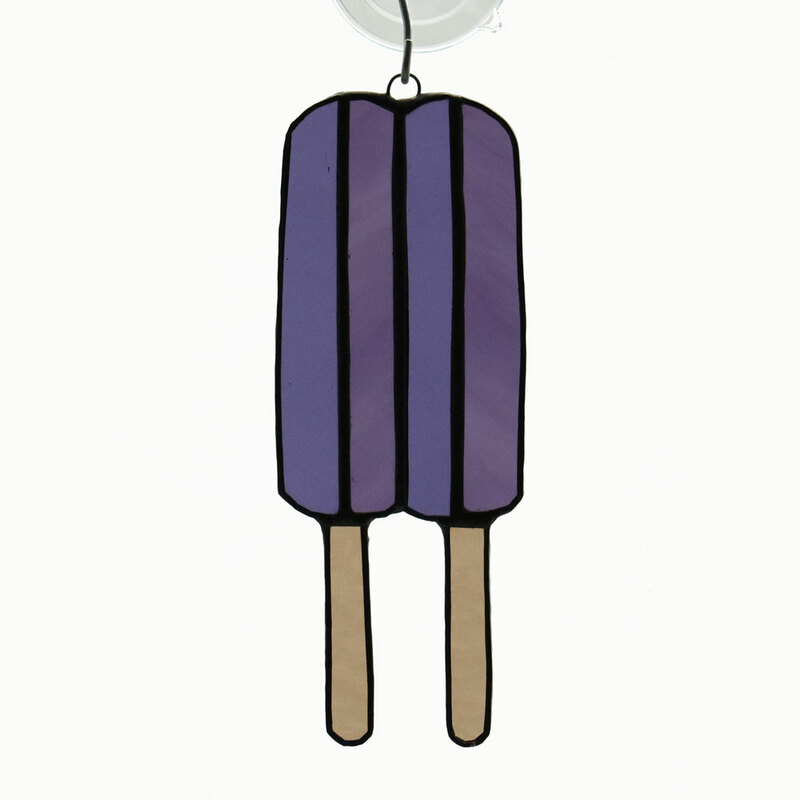 Celebrate summer with this Grape Popsicle sun catcher! 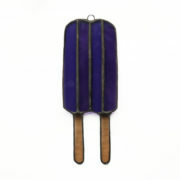 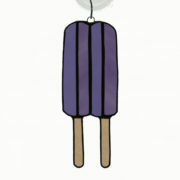 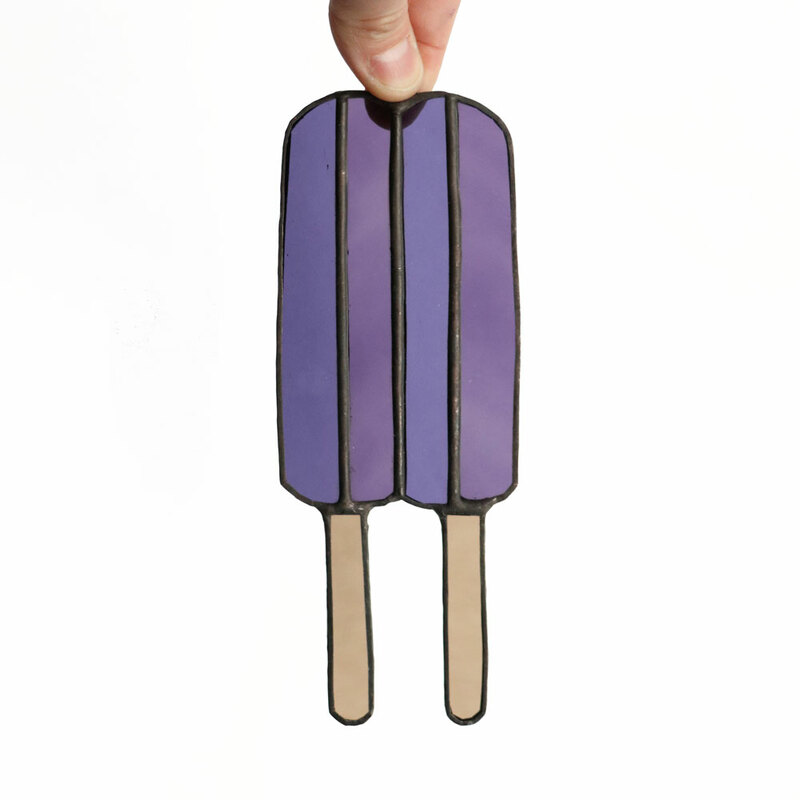 This purple popsicle sun catcher is made of purple and beige glass and has a black finish on the solder. 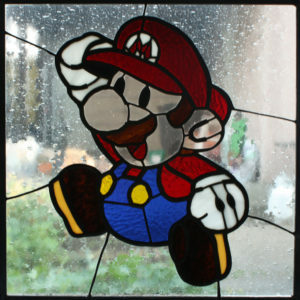 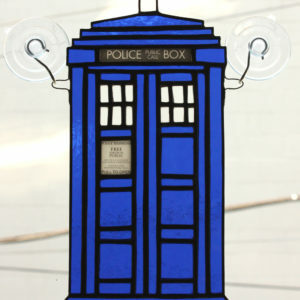 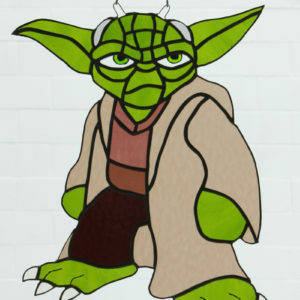 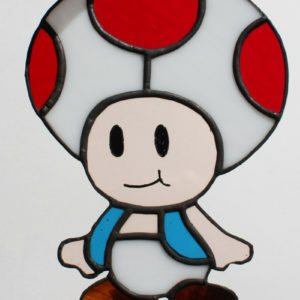 It measures 2.25″ x 6″ and comes with a suction cup so you can hang it on your window.